Everyone from Margot Robbie to Mary J Blige gathered in Los Angeles on Monday for the traditional Oscars “class photo”. This year’s Academy Awards contenders rubbed shoulders at the annual nominees’ luncheon, which took place four weeks before they will regroup for ceremony itself. While the catering team at the Academy are probably getting sick of the sight of Meryl Streep, we certainly aren’t. At 89 years old, Agnes Varda has already become the oldest nominee in Oscars history. Sadly, Agnes couldn’t make it to the luncheon in person. 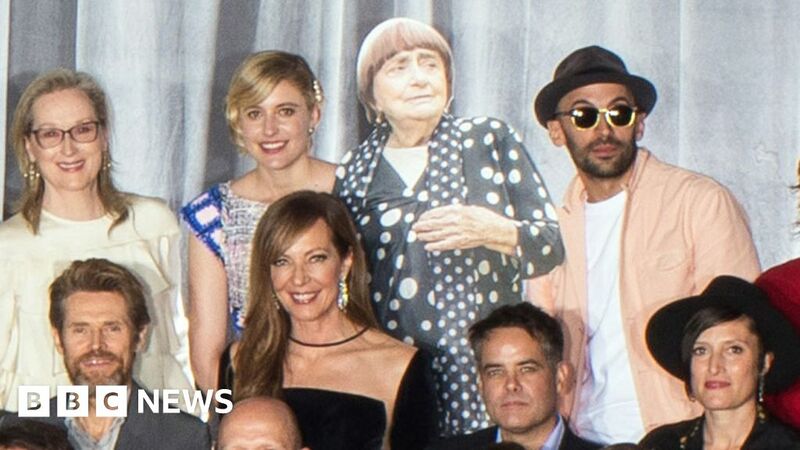 So her co-director JR held up a cardboard cut-out of her instead. We don’t often use the words “Hollyoaks” and “Oscars” in the same sentence. The Silent Child, written by Shenton and directed by Chris Overton (also former actor from the British soap) is nominated for best live action short film. “I don’t class myself as a writer so I felt grossly underqualified doing this,” she said last month. But she certainly isn’t out of place in this year’s class photo. “Oh this? Oh it’s just my bicep. I’d totally forgotten it was there! Goodness gracious, what am I like, eh?” That’s Dunkirk cinematographer Hoyte van Hoytema in the back row. The co-chairman of Working Title films might have managed to stay behind the scenes as a producer of Victoria & Abdul but had less success going undetected here, peering out from behind the giant statuette. After last year’s trouser-gate, we really thought 2018 would be different. We don’t care if they don’t win any actual trophies – they have already won this year’s photo. There’s Common in the back row, nominated for best original song alongside Diane Warren for Stand Up For Something from the film Marshall. The rapper was looking so dapper you probably wouldn’t notice he was actually trying to hide a black eye. We’ve all been Mudbound director Dee Rees at some point and managed to blink at the precise moment a photo is being taken. 9. Quite a lot of men aren’t there? It’s an issue Academy president John Bailey is aware of, making reference to the gender imbalance when he spoke at the luncheon. Which is a very sensible idea, given that he’s six-and-a-half feet tall. They probably could have sat him on the floor and he’d still tower over half the people there. He wasn’t the only Phantom Thread star who didn’t make it though – best supporting actress nominee Lesley Manville is nowhere to be seen either. Perhaps one of the most notable absentees is best actress favourite Frances McDormand, who’s nominated for Three Billboards Outside Ebbing, Missouri. As is tradition, the photographer also took a “fun” version of the photo, where the nominees were encouraged to pull funny faces or different poses.